Bing has been losing to Google with declining market share and less user trust. 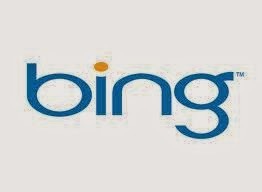 Powered by Microsoft, Bing has a great potential to compete with Google if it optimizes certain weak points. So, where is Bing lagging behing from Google? Let us discuss all the points in this article. Bing search results are often full of spam. Many times, I have come across certain adult sites while browsing for non adult related queries. Bing needs to seriously consider this and prevent this from happening. The biggest problem Google faces every day while serving more than a billion queries is SPAM. Google has a team in place led by Matt Cutts which completely focusses on eradicating spam from the search results. This enables Google to return less spammy results thereby helping them to retain the search market share. Bing needs to have a stronger spam protection team along with sophisticated algorithms and spam prevention strategies that is efficient enough to stop SPAM. Bing still relies heavily on keywords that has long been ignored by Google while ranking search results. Returning keyword focussed results often allows the webmasters the opportunity to implement certain changes on the website like keyword stuffing in order to increase search relevancy for targeted queries. Bing is certainly facing this problem since a long time but no step has been taken so far. Bing needs to drop the value of the weight that is assigned to keywords while ranking search results. This will discourage the webmasters from stuffing keywords in their web page and allow users to browse a better set of search results. If we further take the keyword factor with respect to their presence in domain then Bing considers that heavily in their ranking algorithm. Google too considered the presence of keywords in domain but with the recent Exact Match Domain update, Google ignored the low quality domains that were specifically created to rank for business related search queries. Bing needs to drop the value of this factor from their ranking algorithm. This will help Bing to reduce spam and improve the quality of search results. Other problem that Bing faces is irrevalant search suggestions. For most of the queries, Bing suggests irrelevant search suggestions that are not so closely related to the main search query. This certainly proves that the main algorithm that Bing has in place still needs a major development and it is still unable to understand the context of the search. Google has gone a long way in understanding the context of the search queries with its latest implementation of the Hummingbird Update. Bing has to come with something that makes it easier to reveal the context of the search queries entered by the user. Users love reviews and mark ups in the search results. Google has correctly implemented them in its set of search display but Bing still needs to display them. The modern era of search engines rely on user behavior as the major ranking factor and rich snippets is a great factor in determining the user behavior associated with any site. If the user loves the webpage then social shares, rich snippet comments would be high and positive as compared to the page lacking these metrics. Hence rich snippets, comments and social shares are a great factor in determining a popularity of a site. Google updates its algorithm almost on a daily basis. Bing still lacks frequency in algorithmic updates. It needs to test and redefine its search algorithms in order to make them return relevant results. Let's see how well Bing performs in the coming years. It will surely face a big competiton from Google which has some genius minds working for it. Bing needs to change the approach and strategy with which it must approach Google. Good luck Bing!